Another one for which?waller (I made 6 walls for this round, okay. But I'm not gonna upload them all). Debating on whether or not I wanna submit this or not, 'cause I hate the hair, and she looks like a man DX ... But since I spent time to work on this.... so I'm submitting this as a vector. Anyway, this was done when I was procrastinating and vectoring instead of writing my report. The lipstick thingies are vectored off a photo from Revlon's site. The lipstick colours are from there too. Love the skin, and the lips and lipsticks look good! The hair is a bit messy, but other than that, nicely done! Yay for vexel! And that's like the reason I guessed this as yours, lol. The shading on the skin looks a bit pale and lacks of depth, especially below the lips and nose. And for the hair, you might want to add more whisps around her forehead (and also on the eyebrows). But what I like the most is the lipstick thinges. The shading and highlighting are nicely done. Lol, really? You can merge those layers with the same opacity. Btw, did you also use that technique for the hair? I was having problems, especially if the hair is dark. 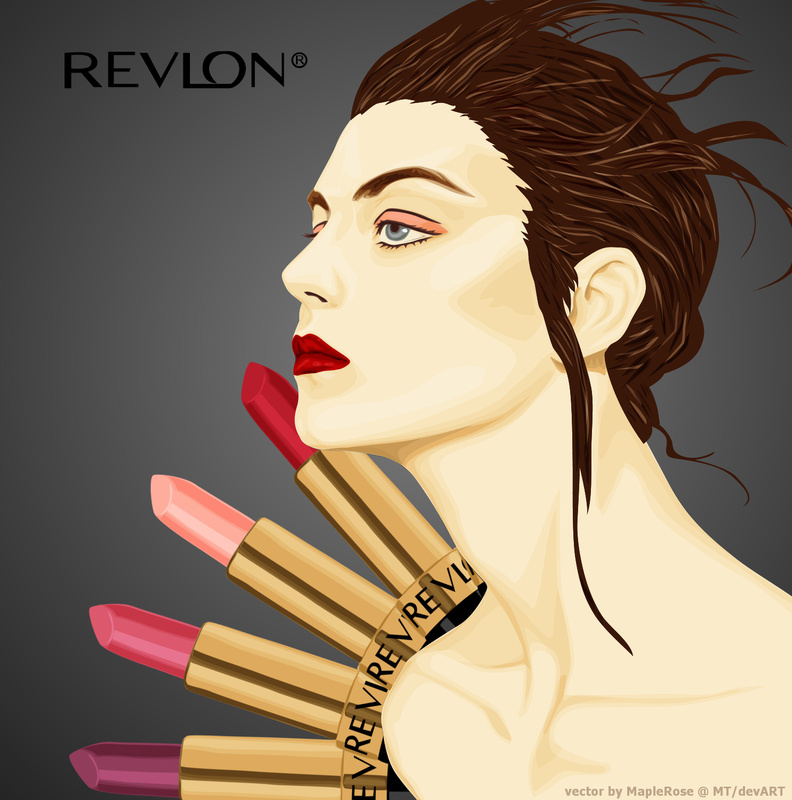 How much did Revlon pay you to do this ad? lol I think you're trying to influence our female members to a certain brand. + she doesn't look like a man, she looks very feminin, soft and beautiful! It does look like a man, I clicked on it just to see if it was. But anyway, other than the hair, nicely done.